Out of innate passion and thirst for uniqueness..a fashion brand aimed at meeting the daily trendy and casual needs of the modern day human was birthed. 1805 Ministry *as we choose to call it* is reinventing a wholly modern approach to fashion. 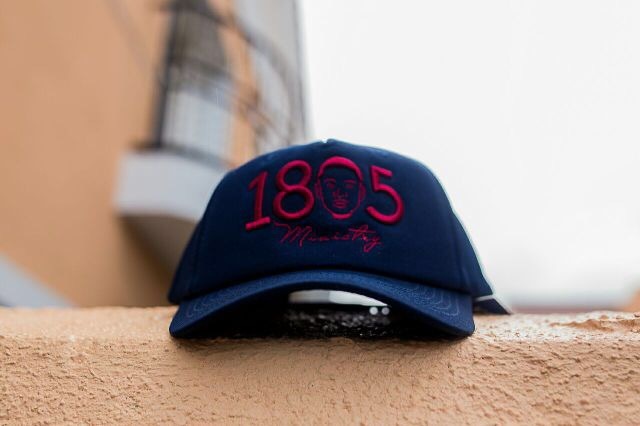 Under the vision of Creative Director Muyiwa Shoyombo, 1805 Ministry seeks to carve a niche and find a seat in the fashion industry with their unique products and accessories ranging from snapbacks, baseball hats, tshirts, sweatpants and more. Eclectic, contemporary, unique – 1805 products are unsurpassed for their quality and attention to details. Each piece is carefully designed and crafted to an almost perfect state. Here at the Ministry, our sweat and blood yearns for perfection, it is what we live for! Here are some of the awesome peculiarities of our hats! •Extra buckram padding i.e. the foam in the front panel of the cap, for sweat absorption in high temperature region, also for warmth in cold temperature regions. • Double layer sweatband, for additional comfort and sweat absorption. • Double breasted fastener for firmer grip. • Absorbs moisture from hat. • For easy carrying about and longer life span of the hat.